This week’s contribution to Parade’s Community Table is 25 Whole Roasted Chicken Recipes. One of my ultimate comfort foods is a whole roasted chicken. It’s not only an affordable way to feed your family, it’s a delicious way! I have gathered together some of my very favorite ways to whole roast a whole chicken. Some if these recipes take longer because I slow roast the birds at a lower temperature like Lemon and Basil Slow Roasted Chicken, Spicy Roasted Chicken, and Slow Roasted Chicken with Cilantro-Citrus Butter. 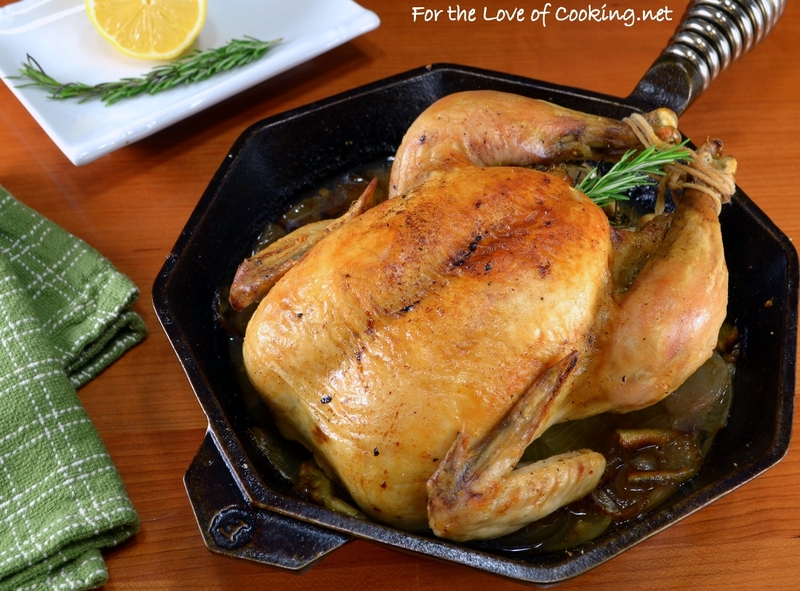 I have included some quick roasting chicken recipes too, along with a couple of recipes for a spatchcocked whole chicken like Greek Style Spatchcocked Chicken, Mustard and Garlic Spatchcocked Chicken, and Spatchcocked Roasted Chicken with Tomatoes, Garlic, and Fresh Basil. I hope these recipes inspire you to roast a chicken! Click on the link to view all 25 Whole Roasted Chicken Recipes. Next on my list to make is theGreek Style Spatchcocked Chicken.